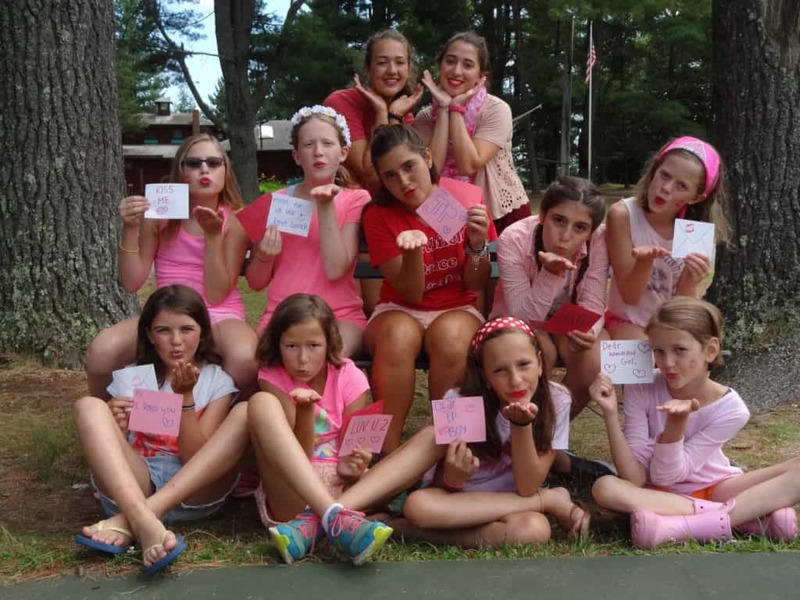 Camp Woodland | Happy Valentine’s Day from Sunnyside! Happy Valentine’s Day from Sunnyside! 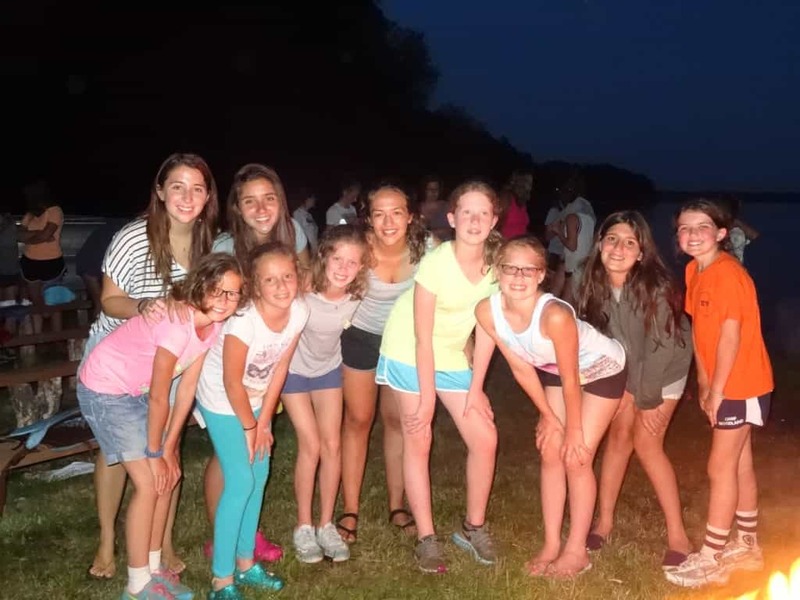 Tori: Spending time with my cabin mates and making new friends. Isa: Driving down the Woodland road; it meant that I was where I wanted to be. Jacquelyn: My canoe trip across the lake. 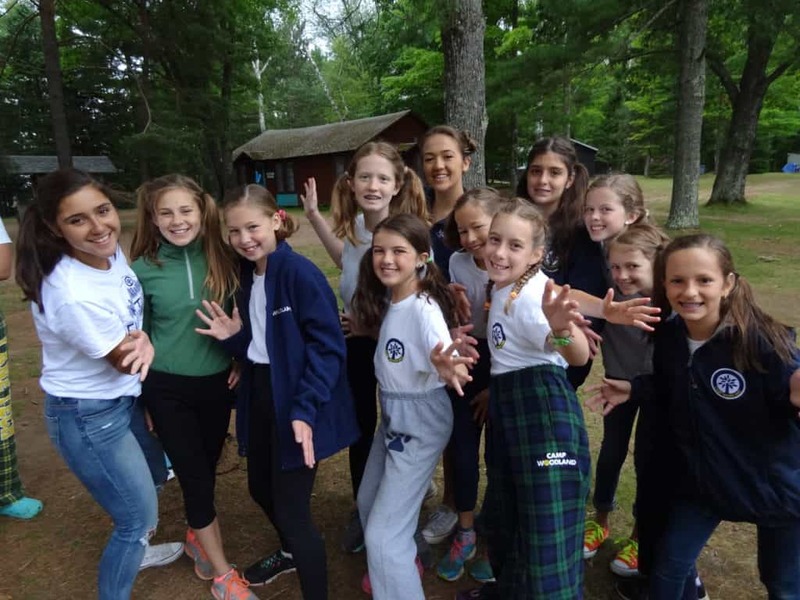 Ana Elisa: When I got to camp, I felt lost at first, but I was also happy and excited because I knew that I was in a place where I was going to have the BEST experience. Molly: Driving down the Woodland road for the first time, seeing the cabins and tennis courts, and everything being so exciting. 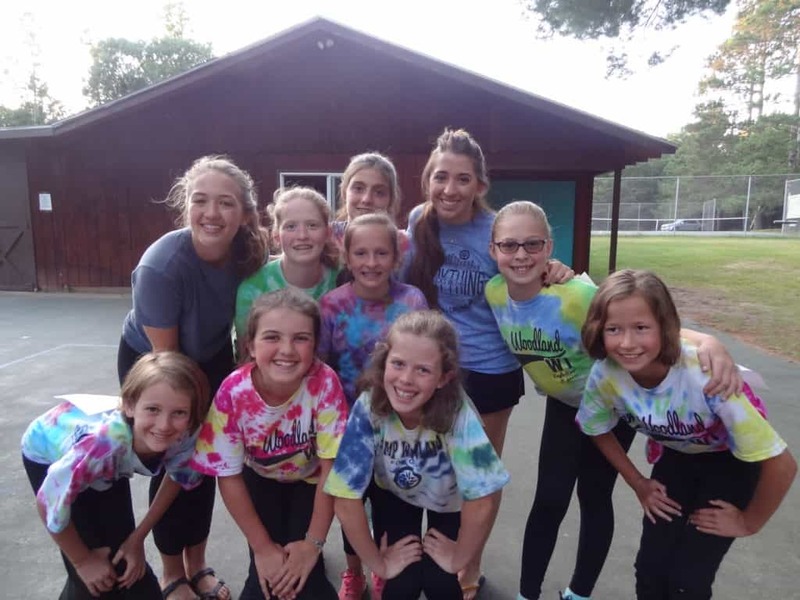 Aubrie: That one moment when you think to yourself, “This is why I came to camp!” That one moment when you are having the time of your life and you know you are in the right place. Lucy: All of my amazing new friends and their diverse opinions and personalities. Katie: The moment I drove down the Woodland road and they sung to me, and I was looking around at everything I could see. 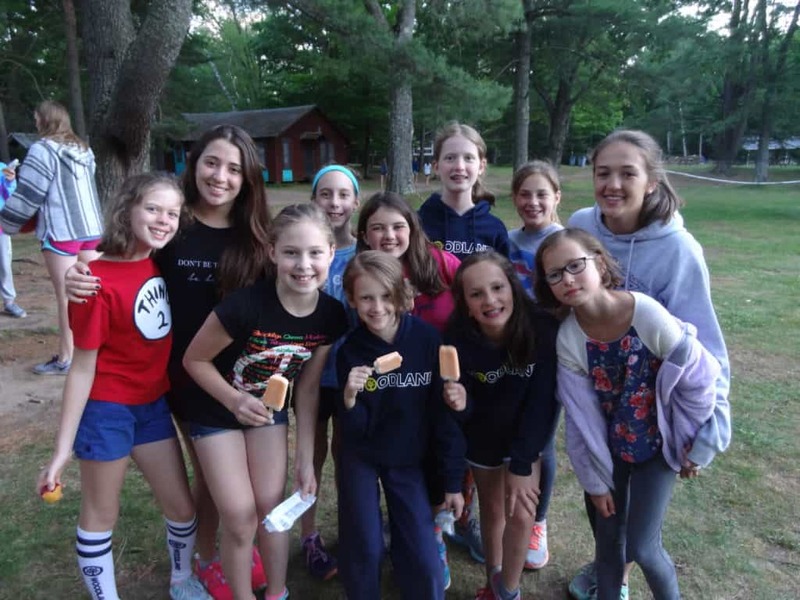 Viv: How fun camp is and all the good friends I met. Tori: Go on the canoe trip across the lake. Isa: The first time I went across the lake. It was very fun, and I got to be with my cabin. Jacquelyn: I went to the bog and caught 3 frogs. Ana Elisa: Water-skiing — it was super awesome! At first I fell, and I tried again, and then I was able to do it! That taught me that you can do anything if you don’t give up. Molly: I tried dance, which I’ve never done before. I used to be really scared to perform on stage. Aubrie: When we had to canoe across the lake for our canoe trip. I got to stern while it was super windy; it is much harder with the wind. Lucy: I got a real gun! Katie: I tried kneeboarding for the first time and I fell four times, but I liked it. Viv: Water-skied again and rode English for the first time. Tori: Staying 6 weeks even though I was a bit homesick. Isa: I’m proud of passing levels (I like it because you are more advanced), skiing (for the first time), and making new friends. Jacquelyn: I tried dancing twice. I love dancing to the beat of the music – it is so much fun! Ana Elisa: I felt super happy that I was feeling a new experience that was real and that I was able to try new things. It was awesome! Molly: Passing Level 4 in swimming, which I was in for two and half summers. Finally! Aubrie: Being able to canter at horse show; I am very proud of this because last year I could barely even trot! Lucy: I am extremely proud of beating my father in riflery! Katie: I shot a bullseye in Archery. Viv: I passed my first level in tennis! Tori: Not to let little things get in your way. Isa: I learned that if I can’t do something, I will keep trying till I get it. Jacquelyn: Giving up is the wrong answer. Ana Elisa: I always need someone by my side and that I need support which I had because everyone makes you feel at home at Camp Woodland. And, I can do anything if I try! Molly: I’m able to do anything if I put my mind to it. Aubrie: If I think I can do it, then I will be able to. I will be more positive will try harder which will give me a better chance at achieving my goal. Lucy: I enjoy meeting new people! Katie: I can be myself and it is pretty nice. Viv: I am good at archery and riding.